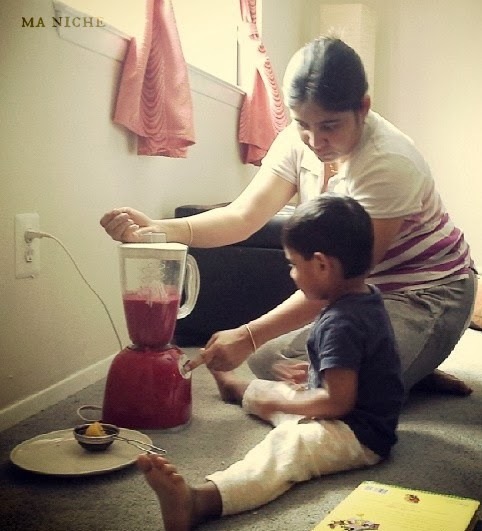 Put all the ingredients into the jar of a blender and blend till a smooth mixture is obtained. Pour into the glasses straight away or strain it and serve. P.S: I do not remember exactly how much smoothie we had blended but guessing from the picture I think it was around 2- 2 1/2 cups. 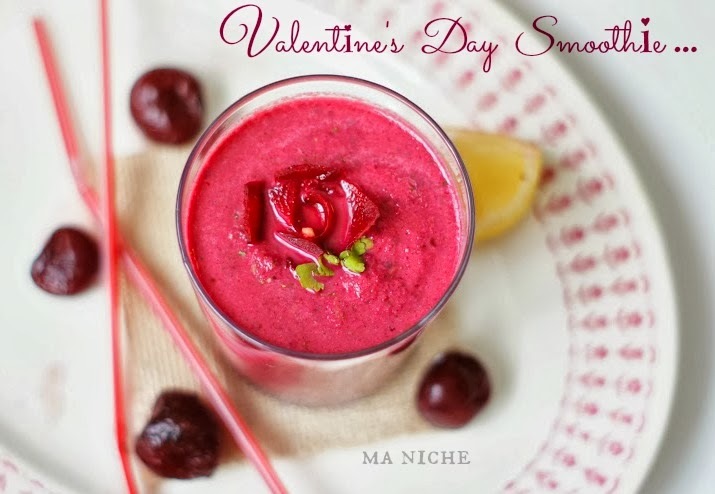 wow love the pinky hue of this tempting smoothie :) what an wonderful combo !! Wow the colour is so attractive. This smoothie is such a pretty color! 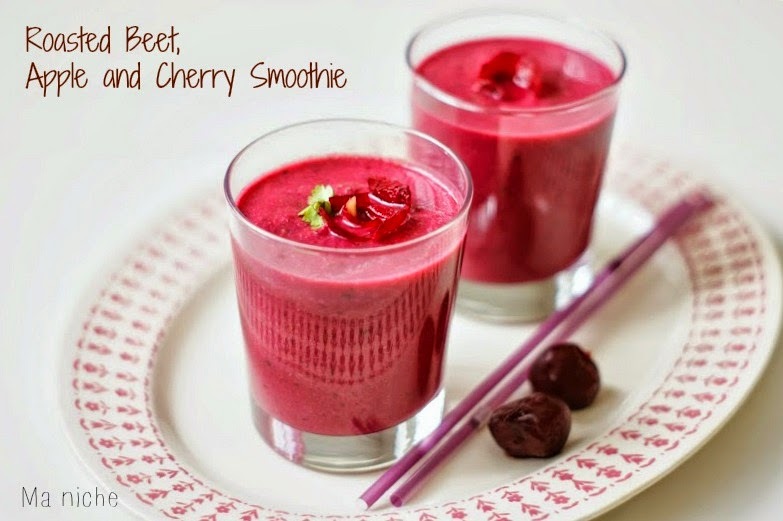 I've never tried putting beets in a smoothie, but I know they are really good for you. I'll have to give it a go! Thanks for joining us for Hump Day Happenings this week. 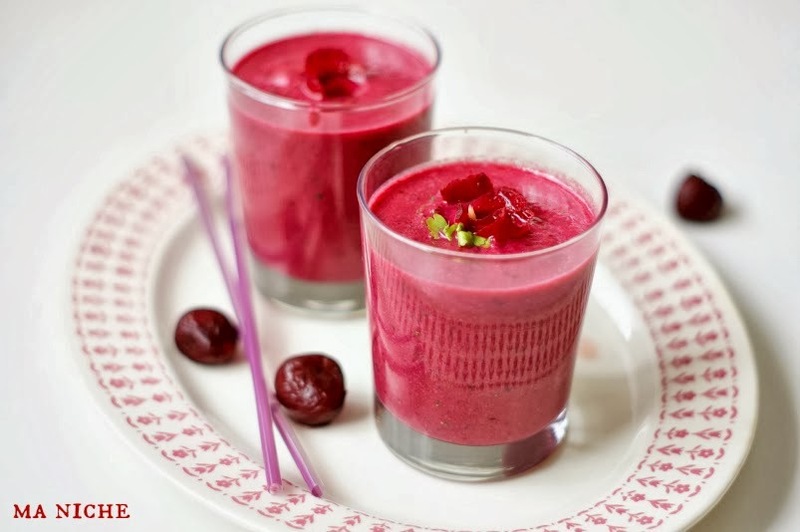 THis smoothie looks amazing, pinning it! Also planning on making it soon for my picky eater. That is a wonderful smoothie packed with three amazing superfoods! That looks wonderful and healthy! Thanks for sharing! This is looking awesome - heavenly divine.